Entry will be available no later than Monday. I am waiting on the weights to posts. The hotel and hotel code will also be on the entry. 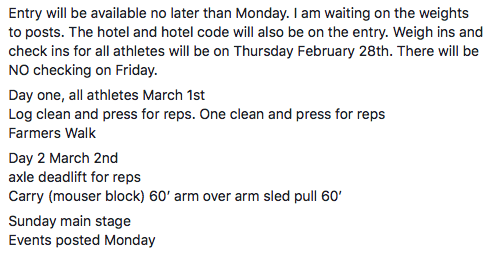 Weigh ins and check ins for all athletes will be on Thursday February 28th. There will be NO checking on Friday.